UU Santa Monica's Green Living Committee presents a special screening of the award-winning film, “Love Thy Nature,” with Filmmakers and Community Partners -- Saturday, October 7th at 7PM on the big screen in the Sanctuary. 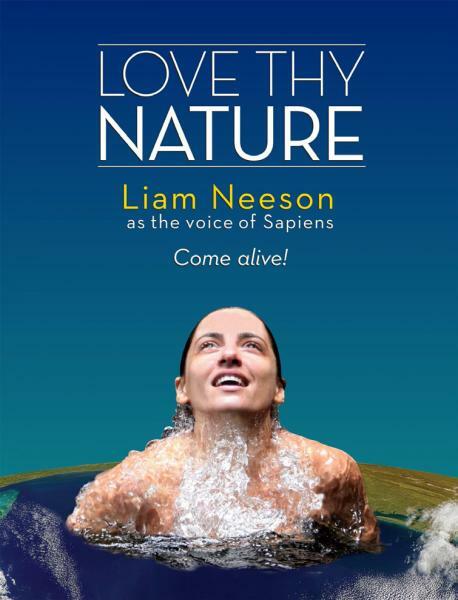 Narrated by Liam Neeson, “Love Thy Nature” points to how deeply we’ve lost touch with nature, and takes viewers on a cinematic journey through the beauty and intimacy of our relationship with the natural world. The film shows that a renewed connection with nature ignites a sense of meaning and wonder so profound that it touches us at the very core of what it means to be human. The winner of 27 awards, it screened in 140 cities around the globe, advancing the filmmakers' mission to grow the nature-connecting movement. The film’s director, Sylvie Rokab, will be present for a Q&A. And please join us afterward in Forbes for refreshments and a chance to learn more about how the Green Committee and our community partners are working on environmental and climate justice in Santa Monica/LA and beyond.